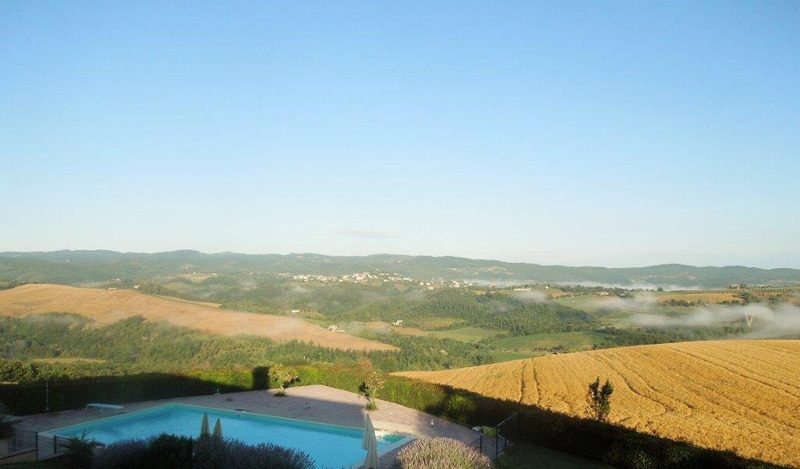 CASA JULIA is our Italian home set in the hills of Umbria. 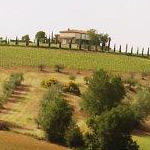 Surrounded by hill top towns, olive groves, vine yards and fields of sunflowers. © 2017 Casa Julia. All Rights Reserved. Food in restaurants in Umbria is always healthy and wholesome with no pretension. Restaurants are very family friendly, mainly casual and serve fresh good food. The hospitality industry has suffered during the recession so please phone the restaurant to ensure they are open on the night you wish to dine. We have been to the restaurants we mention below regularly over our twelve years visiting Umbria. Our first port of call is always the small (and only) restaurant in our local beautiful little village of Rotecastello. It is run by the daughter of the house Lucia, who speaks English so remember to mention that you are Julie’s friends. Her mum Josephina and her Granny do the cooking. It is very reasonably priced but the choice is limited. However, the food is absolutely lovely – cooked from local fresh produce and full of flavour. You will have a choice of pasta courses and main courses and they do lovely platters of anti-pasta! Ask for a table on their roof/balcony which is extremely pleasant. In the village of San Venanzo, there is a small pizzeria (pizza, beer, wine and gelato of course) run by Lucia’s husband. In the hotel at the side of the church (Relais Villa Valentini) you’ll find a good restaurant with a plenty of choice and free parking opposite. Our favourites in Marsciano are Oasi and Le Cerquelle. Oasi: Take the left turn immediately past the Hospital/Nursing home (this is the turning opposite the award winning ice cream parlour Geleteria Stefania ). Carry on, ignore the first turning on your right, take the second turn on the right which will take you into the Oasi car park. Le Cerquelle: Take the S375 towards Cerqueto/Papiano on the old lower road to Perugia (it’s 5 minutes approximately out of Marsciano). Dining in the summer in both of those restaurants is usually by the pool. There are several others mentioned in the folder in the property, or choose one from the business cards on the sideboard. For a special occasion or an excuse to wear your best dress go to L’Antico Forziere on the E45. Take the Catalina exit - it is the second exit after Marsciano towards Perugia. This is a great favourite of ours. 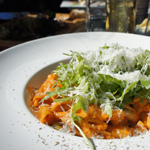 You will always be greeted with a complimentary Prosecco and excellent service in typically Italian surroundings. During the summer months there are lots of celebrations in local villages with live music and food for a nominal charge. I love Ristorante Cavour - it’s on the side of a hill with magnificent views and fabulous pizza and pasta. Wherever you go you will enjoy and you will never be disappointed.